I was looking at your PG related blog, and it is quite nice. Btw I am lead architect for a major energy management platform development, and we are looking for a Postgres DBA. If you are interested and wish to know more, please do mail me at rohit dot sri at gmail dot com. I have the feeling that Postgres is proceeding towards Oracle, but at the very early stage of Oracle, like 8. for example, the replication function of Postgres, like Oracle standby in 8i, but not as good as Oracle. still a lot of manual steps required and not so straightward. Hey nice writeup, helped me to understand a little better. Question, what if have only a Base backup from 6 months ago and no WAL logs.. Can I restore from this Base backup successfully? This is something I can find no documentation on. 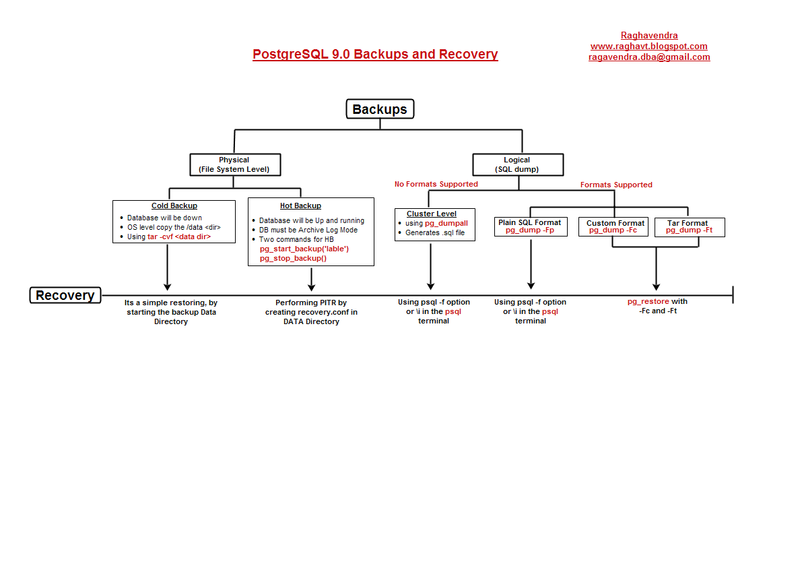 You can restore any consistent base backup irrespective of at what time the backup has taken. 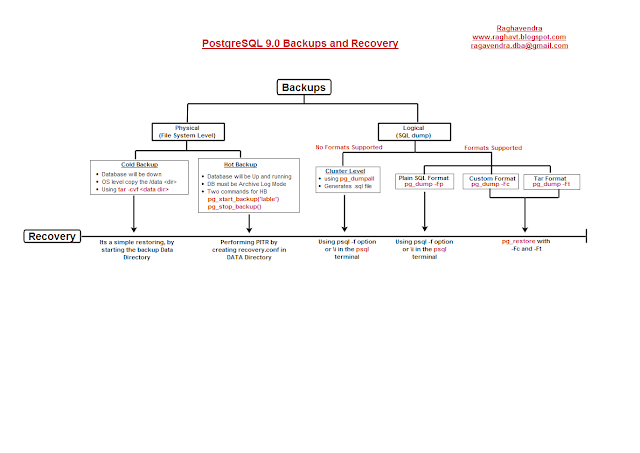 Question only comes, if you want to restore the base backup and bring to consistent state of your current production, then you need WAL's to apply and do PITR. You can refer to my PITR section of blog for your reference. Thank you for visiting.